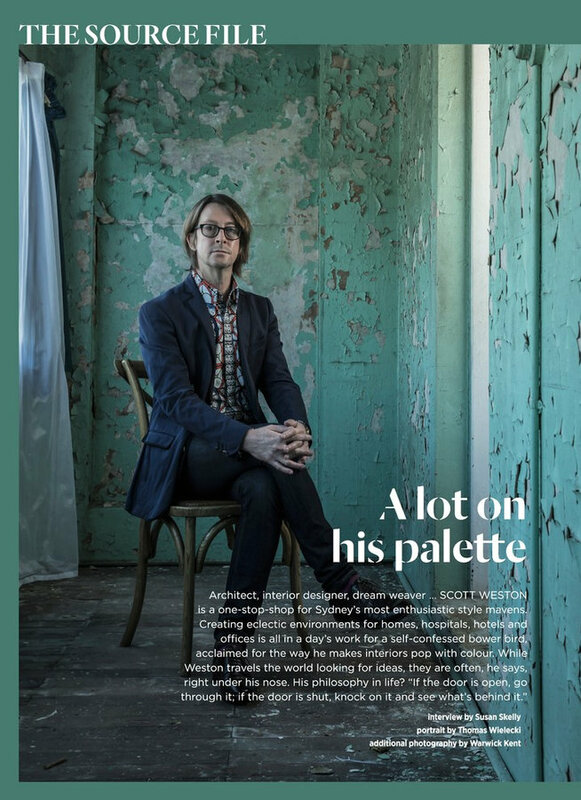 Architect, interior designer, dream weaver.....SCOTT WESTON is a one-stop-shop for Sydney's most enthusiastic style mavens. 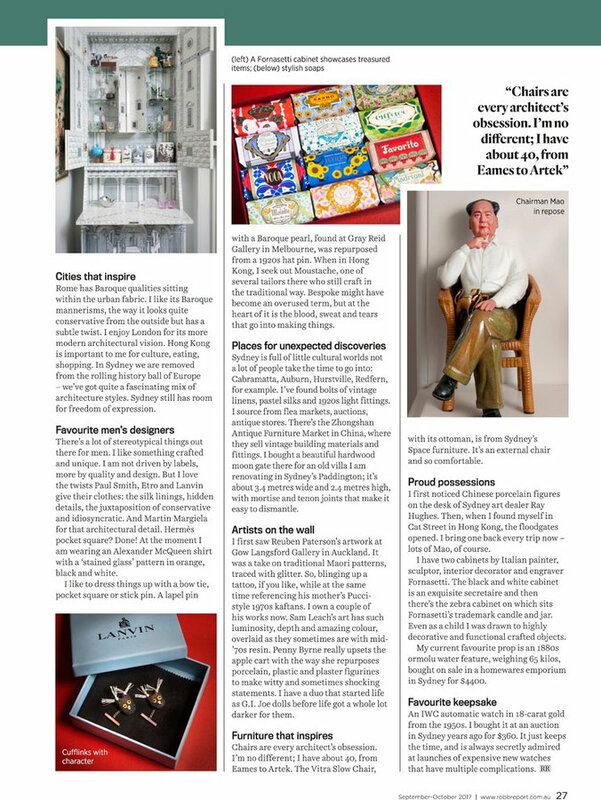 Creating eclectic environments for homes, hospitals, hotels and offices is all in a day's work for a self-confessed bower bird, acclaimed for the way he makes interiors pop with colour. While Weston travels the world looking for ideas, they are often, he says, right under his nose. His philosophy in life? 'If the door i open, go through it; if the door i shut, knock on it and see what's behind it."